How do I add Amazon as a vendor in QuickBooks Online? 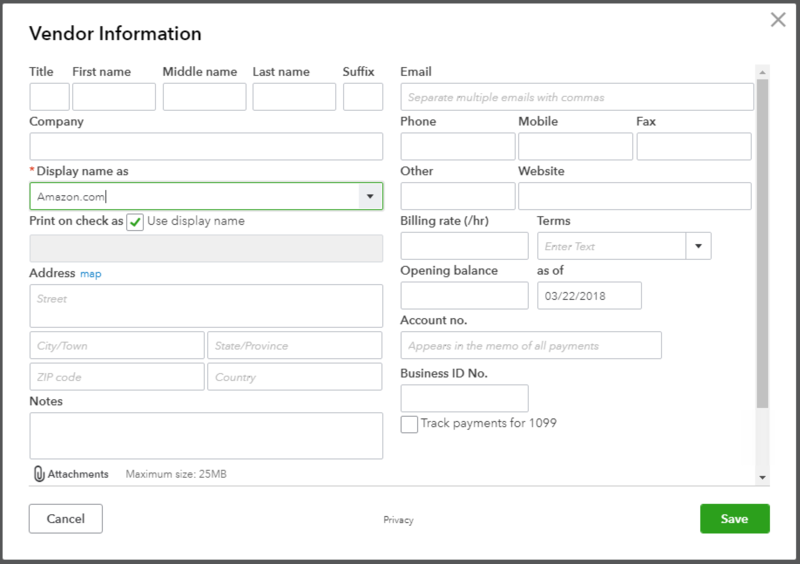 To add a Vendor in QuickBooks Online, navigate to the "Expenses" link on your menu. Then click on the "Vendors" link and the "Add a vendor" button. If you have existing vendors, you can click on "New vendor" to add a new vendor to your list. On the following Vendor detail screen, you don't need to provide all the details. You'll only need the "Display name as" field filled out. Click on "Save" when you are done.